Interstate Trucking is a self-established company founded in 2007 by Sudhir Krishna. Interstate Trucking specialises in the movement of containerised cargo, both import and export in the wider Auckland metro region. Confidence in the trucking and freight industry stems from both experience and knowledge earned by managing a successful transport company in South Africa over a ten year period. 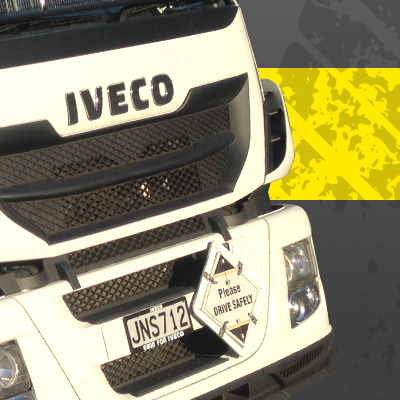 Interstate combined experience in New Zealand began as an owner driver for one of New Zealand’s most successful companies. Developed and concise understanding of port operations and the New Zealand freight industry at large, the team at Interstate Trucking are well equipped to deliver on the promise of ‘customer satisfaction guaranteed’. Our commitment is to ‘hands-on’ management in facilitating rapid response and decision making. We operate our trucks on a 24 hour rotation, ensuring that freight entrusted to our service is assured of the highest level of customer service and prompt delivery, 24/7. Interstate Trucking delivers – it’s what we do best!